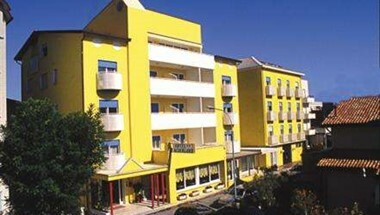 Auflistung der besten radfreundlichen Hotels von Caorle, in denen man auch Fahrräder mieten kann. 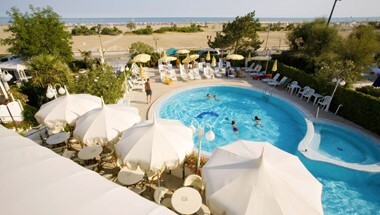 Hotel Nederland lies in the western beach of Caorle in a very quiet spot not so far from the historical centre and just very near to the beach. All rooms are air-conditioned and are equipped with shower/wc, fridge, telephone, safe-deposit box and sat-tv. Our cuisine gives a wide choice of meat and fish specialities and a buffet of vegetables at every meal. Buffet breakfast. If you looking for a holiday in a comfortable and modern place, Hotel Nederland is the right choice. Enjoy a truly relaxing holiday. Reserved beach service with beach-umbrellas and recliners, bicycle service and parking are included in this price. 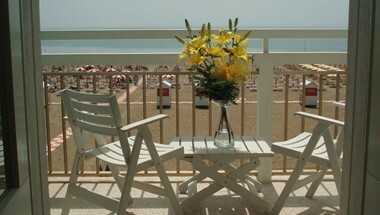 The Hotel Doriana standings right on the beach in a quiet and sunny position. It offers every modern comfort, the excellent cuisine and the family-like treatment are going to make your stay convenient and pleasant. All rooms are equipped with bathroom, direct-dial telephone, SAT-TV, minibar, air-conditioning, hair-drier, safe and balcony. All rooms and all areas in the Hotel are covered by WI-FI. The delicate dishes, the variety of the buffets, the quality of our food and wines, carefully selected, as well as the first-class cakes, allow even the most discerning palates to find their daily satisfaction. Vegetarian and Gluten Free dishes be also avaiable. 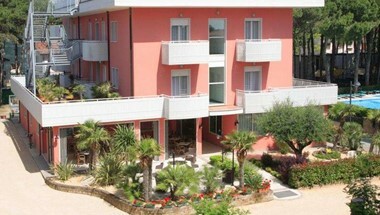 Hotel Palladio lies in a very quiet position, it is only 100mt from the sea. It has private parking and beach. 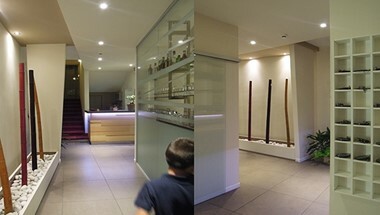 All rooms with bathroom. 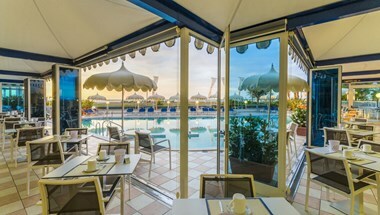 Our guests may have breakfast, lunch and dinner in the large, panoramic and air conditioning Restaurant in the near partner Hotel Marco Polo. 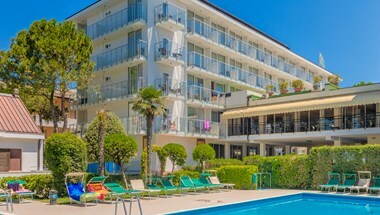 Situated in splendid, quiet position, only a few steps from the beach (Spiaggia di Levante, by Lungomare Trieste) and near old town, the hotel Benvenuto is an ideal place for a relaxing holiday by the sea. 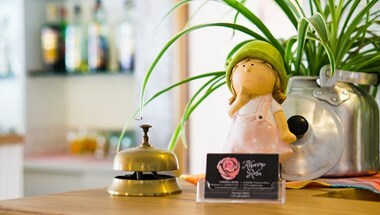 A delightful, family – run hotel offering quality accommodation, a cordial and solicitous service. All of the rooms are equipped with bathroom, air conditioning, satellite television, telephone and safe deposit box. Dining room, terrace bar with sea view, lift. Parking, private beach with sun umbrella and sun loungers, bikes. 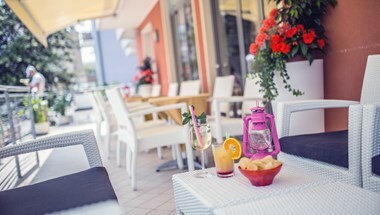 The restaurant offers a wide selection of local and national specialities. Hearty breakfast buffet. 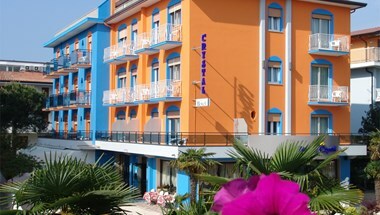 Hotel Benvenuto has everything you need for a pleasant and enjoyable stay! Family Verlato waits for you! 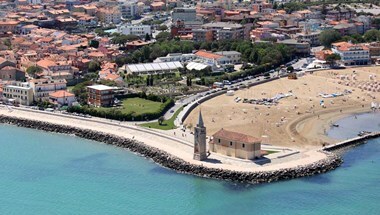 The "Villaggio dell'Orologio" represents one of the most all-around and diversified touristic scenes of Caorle. 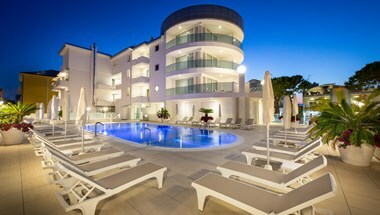 It offers residences with swimming-pools, single villas and rholiday home. 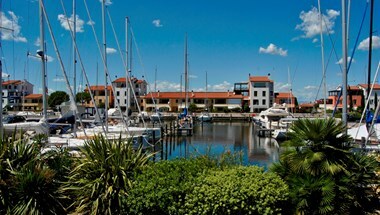 Yet the Marina and its wide basins for moorings, a restaurant and a pizzeria, tennis courts, a miniature golf and shops. 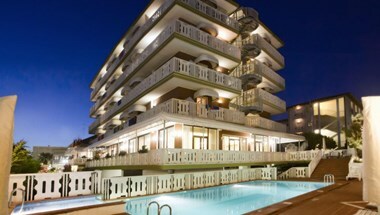 The Rizzante Residence flats rise in front of the sea side. The enjoi a really delightfull view of the Adriatic and the large Levante, beach with fine, golden yellow sands. 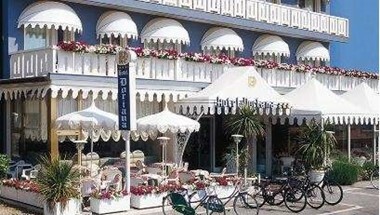 Located a stone's throw from the west beach and the historic center, the Hotel Rosa Caorle is a 2-star hotel offering a comfortable environment and genuine services with attention to every detail. All rooms have private bathroom, air conditioning, TV, hotel safe, hairdryer and telephone to communicate with the reception. The Rosa Hotel is fully air-conditioned and soundproofed as well as having a lift and rooms equipped for disabled guests. The bar service dedicated to hotel guests is also active. 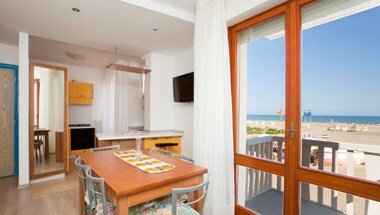 Available to customers included in the price we offer the private beach equipped with umbrella and sun beds and Wi-Fi. The kitchen is open for both lunch and dinner for half board or full board and offers excellent simple and genuine cuisine with many specialties of Caorle and Veneto. The rich breakfast is buffet style.